How to spend Valentine’s day while being single? Valentine’s Day is a perfect day to show passion and love that’s way it’s also called Love Birds day. It’s the only day in the whole year which gives universal recognition to the emotion of Love. This day brings the opportunity to love birds to celebrate their romance in the true spirit of love. But what if you are single and don’t have the partner to share this day with? Who say that for being happy or celebrating Valentine’s Day its necessary to have partner. You can enjoy this day even better if you are alone. It might sounds a bit clumsy if you tell anyone that you will celebrate this day alone, but the best answer would be to tell them you are celebrating this special love day with the person you love the most….. That is “yourself”. Here is a list of awesome things you can do on Valentine’s Day and make is memorable for yourself. If you don’t have another person to give gifts and flowers why not take it as an opportunity to spoil yourself? Treat yourself with a bit of pampering. There is a large variety of eye catching products on sale on Valentine’s Day in UK. But it’s not necessary that there is someone who gifts these products to you. 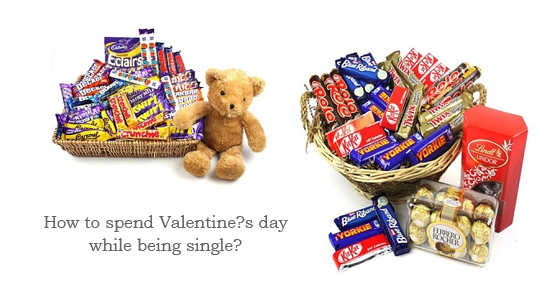 Why not buy these Valentines hampers UK for yourself? It would be more great then receiving unwanted gifts from others. May be you are wishing to add some new cloths to your wardrobe or thinking to buy some gadgets for many days. So why no buy them on Valentine’s Day as a gift to yourself. What a fabulous variety of chocolates are available on Valentine’s Day. Beautiful eye popping boxes filled with seductive chocolates. But tell me where it’s written that it’s only for gifting or one can’t have them until someone would send it to you? Chocolate releases endorphins in the brain to make you feel good! So a little chocolate will actually improve your mood and make you feel better. Go and buy chocolates for yourself and enjoy your freedom. Everyone has some hobby, which he enjoys doing and it will calm his nerves and give a contented feelings. But because of the busy schedule of life it becomes latterly impossible of carry on with some hobbies in daily life. So why not spend this day enjoying what really give to satisfaction. Finally beat that video game you bought months ago, get back into running, working out, model ships, comic books, or whatever makes you happy. What else can be the best idea then spending time with your favorite celebrity? How come? It’s easy. Just bought movies of your favorite celebrity or catch up a season of your favorite drama, make a bowl full of popcorns, sit on a couch and enjoy!! It’s more important to be with the people who are important in your life and spending time with them gives you happiness and feeling of contentment. Call out your friends and have some dine out with them, meet up your family. Spend time with your grandparents. Enjoying the company of those who truly loves you is more comforting then spending day with your girlfriend or boyfriends spending bulk of money on them and in the end you listen pinching words that the day is not spend in a way I want it to be and blabla…… so spend this valentine’s day with your friends and family. After all, Valentine’s Day is a day for spending time with those you love, whoever they may be. With Valentine’ Day fast approaching, it has become quite for every person to give the partner a pleasant surprise. There are countless ideas found on the net that can help the person to purchase wonderful gifts for the partner to show their feelings and love. Cooking his favourite dish: There is a popular saying which states that the road to a man’s heart is through is stomach. This holds true for every man. By knowing his favourite dish from his friends and family, it would be better to cook something interesting that would be tempting and delighting. One great cooking tip can include small cupcakes that are easy to bake and consumes less time. Multi-colour cupcakes coupled with a hug and a big smile can give him a wonderful surprise. The cupcake set can include multicolour cases and gloves. 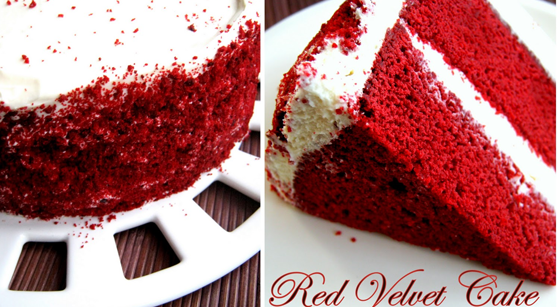 The individual can also prepare delicious chocolate dessert or brownies for making it special. Also, one can prepare something different that is likely to surprise him. There are various ideas on recipes on the internet. Playlist: A perfect music can indeed set up the right mood for the day. The individual has to understand the type of romantic music he/she likes to listen. A complete playlist for every day until Valentine’s Day should be compiled. It should be played to make the moment special. It should also need to be checked the speakers are functioning and effective, so that it can add to the mood. Another wonderful gift that can be given is the micro SD Card that contains good music and beautiful pictures that the receiver would enjoy for a long time. Presenting self composed items: Words are a wonderful way for the person to express their feelings to the partner. Some compositions can be written and dedicated to the person. This is likely to make him much more special this Valentine’s Day. It is to be understood that the rhythm actually does not count, but the message does. In case, the person is good with writing, then he/she can write several lines, and have it engraved on key chains and coffee mugs to gift it to the beloved one, so that it can remind as to how much the person is being loved and cared for. Also, customized photo frames and calendars can be purchased and gifted. 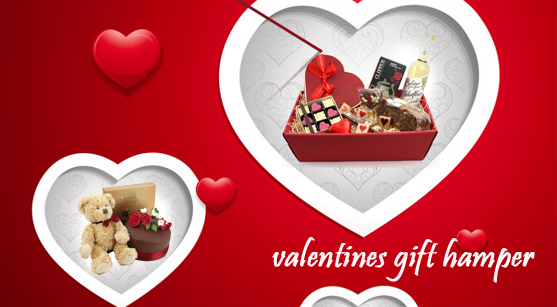 Moreover, there are various online stores that do offer personalized Valentine’s Day gift hampers delivery to make this moment special and enticing. Shirt or fragrance: Men are addicted to fragrance. Indeed, a good fragrance is likely to set up the right mood. Since the person already knows the type of perfume he enjoys, it would be better to present him with one that is would enjoy a lot. Otherwise, the individual can settle for a good shirt since there are plenty of designer shirts that are easily available in the market. A good design can be selected that would fit the person perfectly and enhance his overall appeal. With Valentine’s Day approaching fast, it is important for individuals to find the best gifts for their partners and beloved one on this day. Even though, the budget decides the type of gift to be purchased, there are several inexpensive ways of making the beloved one to be impressed with the gift. Love is undoubtedly the most amazing and cherished feeling experienced by couples. This is said to be the very thread that binds everyone together inspite of every distance and differences. The Valentine gift does hold a special importance on this occasion. A party does remain incomplete without the appealing gift suggestions. However, if the individual is tired of the regular standard gift suggestions, he/she can go through the different sites that are present on the net and provides top valentine day gifts. The Valentine can be surprised with the distinctive gift suggestions and special place can be created in the heart forever. There are endless number of online portals that do keep a range of the best gifts for the Valentine and other occasion. With so many to choose from, the individual is simply spoilt for choice. It is easy to look around through the various categories that are present on the net. Also, it is very much possible for the individual to send the gifts to their beloved ones staying in other cities or countries, with great ease. Serenades are often sent for producing passion apart from the expectation. It is contemplated to be the best way to surprise the loved ones. At the same time, the valentine by presenting such gifts can be kept on their toes. The ultimate should be enchanting. Another way to impress the partner is by presenting personalized gifts. A comfortable pillow, key chain or cup can be personalized with a favorite photograph along with the personal information which would further impress anyone. The person should try to purchase the gift much ahead in advance. This gives them a clear time frame to look for the ‘perfect’ gift for the partner. The gifts should be unique and serve as a life-long memory. One should not just go for roses and gourmet chocolates, since they have become much common. There are also other resources available in the market besides earrings, dinner out, watches, flower bouquet, etc. The right kind of gift would end up be treasured and enjoyed by the receiver. Gifts, when properly selected can help the dreams to be realized. It would be better to know the requirements of the partner, and present them the gift that they had always been thinking of. This would come as a wonderful surprise for them. The gift should be as per the type of person the partner is, the habits, preferences, tastes and likings. It should suit them thoroughly and fit them appropriately. Only then can they enjoy the gift and cherish it completely and also love the giver of the gift all the more. Valentine’s Day is ready to strike our lives once again with full enthusiasm and we can see the hustle bustle around us as the retail shops are filled with lovely collection of Valentine’s Day chocolates, flowers, teddy bears, gorgeous variety of Valentine’s Day Gift Hampers and a lot more to make your loved ones’ day extra special. This Valentine’s Day will also be no more different as couples would seek every opportunity to bring surprises to their counterparts and to give them something memorable. Here, we collected certain facts related to Valentine’s Day which would be interesting for you to know. According to a recent study fact posted in an article in Huffington Post, it was revealed that men tend to spend more than women on Valentine’s Day. In fact their spending figure is double the amount of women spending. In 1800s, the Physicians of the time recommended their patients to eat chocolates in order to suppress their obsessive feelings for lost love. It would calm their emotions and they would feel relieved from the heartbreak. In India, the most sought after gift to give on Valentine’s Day is the Taj Mahal or its replicas to mark the true feelings of love for their counterparts. There are around 220,000 marriage proposals on Valentine’s Day each year. Red Rose is considered the flower of love because its red color reflects the strong romantic feelings. More than $1 billion worth of chocolate is purchased every year in US alone. Casanova, known as the “World’s Greatest Lover” ate chocolate to make himself virile. The first box of chocolates for Valentine’s Day was produces in 1800s by Richard Cadbury. The Italian city of Verona, where Shakespeare’s Romeo and Juliet used to live, is said to receive around 1000 letters addressed to Juliet, every year. Well these were a few interesting facts that we thought would amaze you. Share these facts to your loved ones or if you know any other facts related to this day, do share. One special day for couples is the Valentine, which no one can miss. This is a custom that has been in vogue the last two hundred years and different types of gifts are exchanged by the lovers that range from simple cards to luxurious gifts. It has been noticed that most gifts that are designed for this day are both expensive, and sure to burn a hole in the pocket of the purchaser and are neither ornamental nor of great use. Hence, it would be a better way to celebrate this occasion in a different manner by selecting eco friendly products that are easily available or can be created. 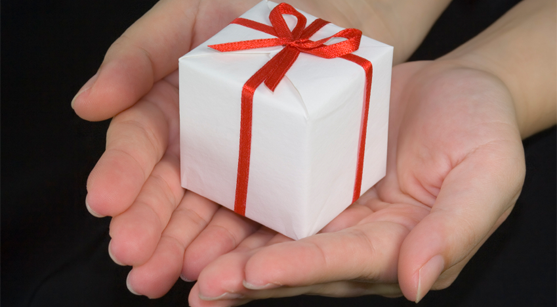 Besides saving the environment, these types of gifts are also quite reasonable and also perfect for the individual. Greeting card industry is, said to be presently in the UK, worth more than £1.5 billion and has been growing with every passing day. The prices of the card are increasing and have become expensive since the last decade. Also, it does create a good amount of waste and pollution. However, retailers have come with a wonderful solution and are selling ‘green cards’ that are created from the recycled materials that have a great respect to the environment. Plenty of online retailers do sell such cards, and there is a huge collection for individuals to select from and pick the one that would fit their requirements. 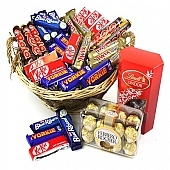 In fact, one of the most popular choices among gift buyers is the chocolate. This is one item that can be given at any occasion to anyone of any age, anytime and anyplace, without having to worry of being embarrassed. Most individuals love to present their partner with varieties of chocolates or with chocolate hampers on Valentine’s Day. This is why the most chocolate companies have been spending millions of pounds to come with a variety of chocolates that would be tempting and sure to win appreciation from the receiver of the gift. A wonderful way to give a thoughtful present is by selecting the right kind of premium chocolates, instead of the regular ones. Ranging from beautifully wrapped chocolates to simple bars, this is indeed a gift that can be shared with anyone. 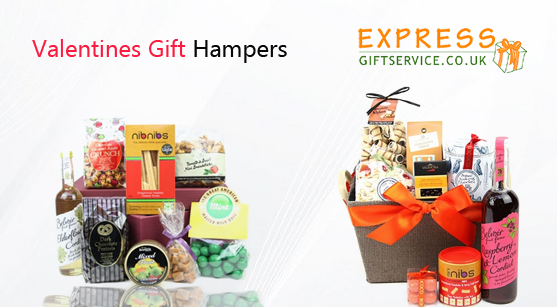 Eco-hampers are considered to be a wonderful way to purchase for the beloved one and also useful. They are available in different ranges suiting to the budget of the individual, and include everything from premium biscuits to eco-radio and water powered clock. In case, the individual is quite serious and concerned about the environment, then, these can make fabulous gifts on the occasion. If the individual is creative enough, he can make the gift himself that would involve very less expense. Moreover, it is also sure to add a personal touch to the gift while making it much more personal, and something that can be cherished with others for a long time to come. 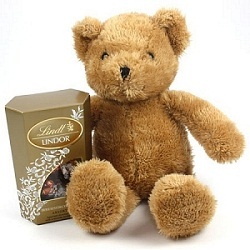 The best part is online gift stores make it possible to send gifts online to your loved ones. Other ideas could be in planning for a day out with the beloved one to make the day special and interesting.